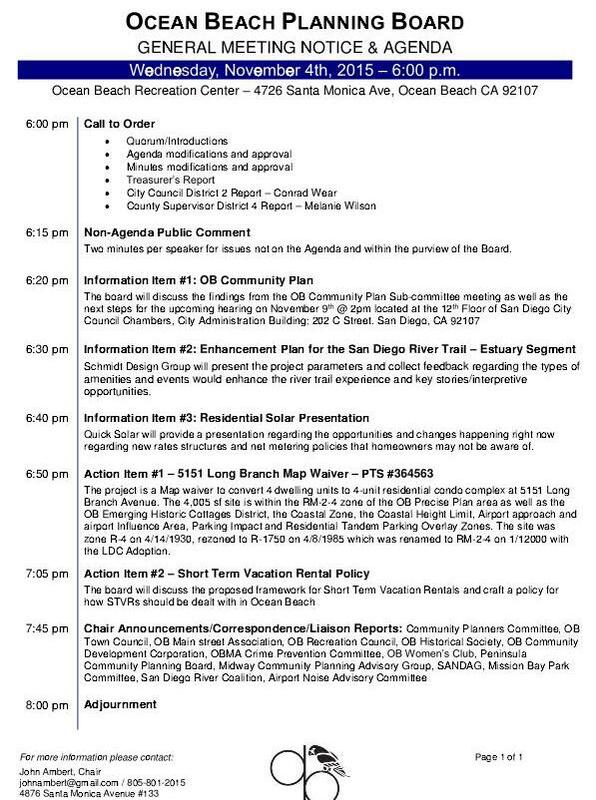 OB Planners have a lot on their plate for their Wednesday, Nov. 4th meeting. There will be an update on the OB Community Plan going before the City Council on Monday, November 9th. There’s two presentations, one on an “enhancement plan” for the San Diego River Trail, and another on residential solar presentation. 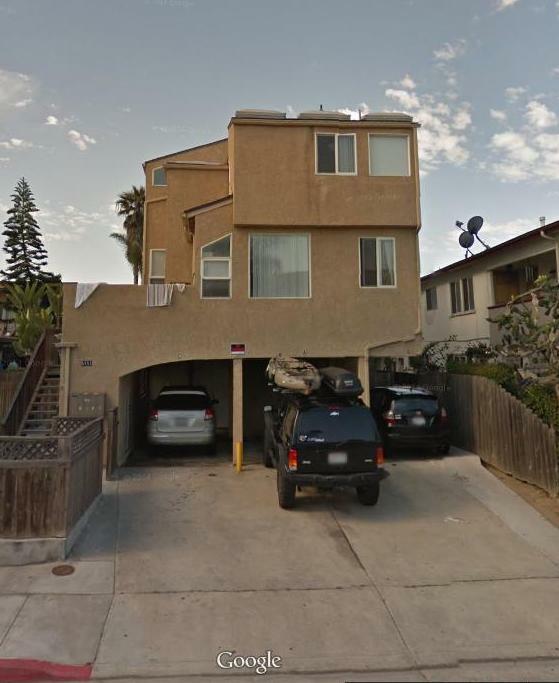 But the two big items on the Board’s tight agenda is an application to convert 4 units on Long Branch to 4 condos, and then the Board is slated to “craft a policy” for how short-term vacation rentals are dealt with in Ocean Beach. First up is a permit and map waiver for the Quigley Complex at 5151 Long Branch. The current owner/developer Bateman wants to convert the 4 residential units in the unique building designed and built by well-known architect Rob Quigley back in the Seventies into 4 condos. (Quigley designed the new Central Library in downtown San Diego.) Bateman needs Board approval of his condo conversion plan. Although originally built in the mid-seventies and since re-stuccoed, this 3-story building is quite unique, as it was designed and constructed by Rob Quigley, San Diego’s famous architect. The Quigley place on Long Branch was one of the first apartment buildings to be constructed under the “new” OB Precise Plan of 1975 – a plan that encouraged and supported “green” technologies – way before anyone else – and gave props to innovation, creativity, – and, well, simply – uniqueness. Quigley had been working with the folks who had staged OB’s “urban-planning revolution”, and they had all given him the green light to move on his construction project. The building was designed and built for four units – 3 of them smallish -, all uniquely designed, with different floor plans. Several were multilevel. Three of the units have decks. The apartments are two-bedroom, two-bath and are 885, 931, and 1,059 square feet. One unit is 1,246 square feet with three bedrooms and two baths. 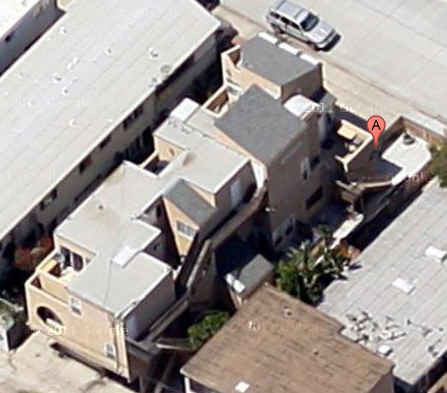 In order to obtain approval from the City and the OB Planning Board for a condo-conversion, a map waiver has to be approved – which waives the requirements for individual ownership of the sections of the plot of land. Condo conversions are very controversial because they remove housing stock from the rental market, squeezing the lower end of the economic scale even more by limiting where tenants can live – and in turn helping to drive up rental rates. The Board has been taking steps of late trying to deal with the issue of short term vacation rentals. 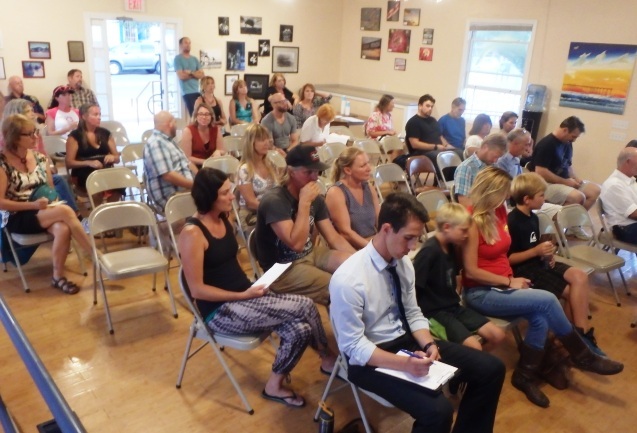 It joined the OB Town Council back in September and hosted a panel discussion of them. On Wednesday, the Board will attempt to craft a policy on STVRs and Ocean Beach. Here’s the official agenda. The Board meets sharply at 6pm at the OB Rec Center, 4726 Santa Monica Ave.